Reina María Rodriguez, Catch and Release. 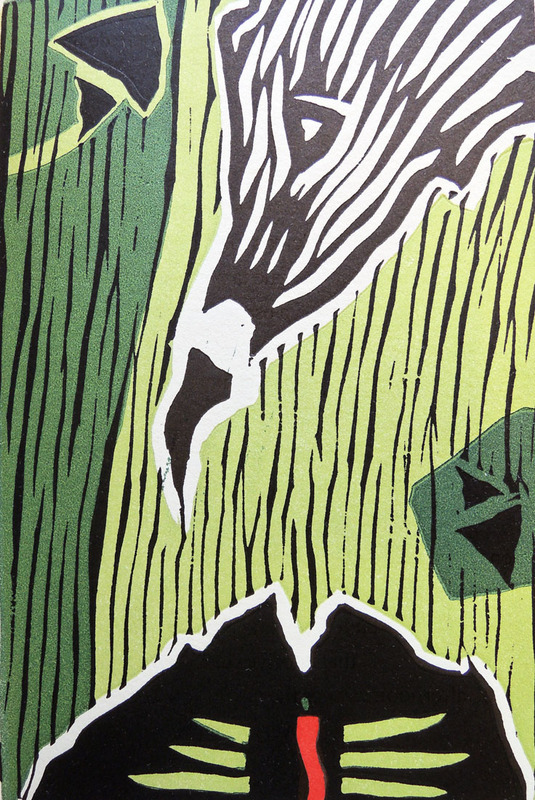 Linocuts by Alejandro Sainz (Tuscaloosa & Havana: Parallel Editions, 2014). Graphic Arts Collection 2014- in process. Gift of the author. 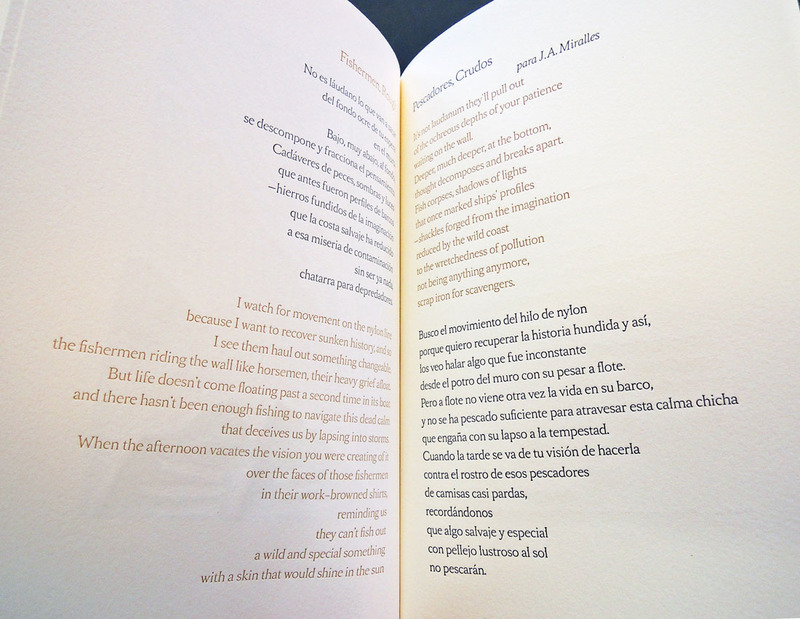 “This book is a collaboration between Cuban poet Reina María Rodríguez, as translated by Kristin Dykstra, Cuban artist Alejandro Sainz, and The University of Alabama. 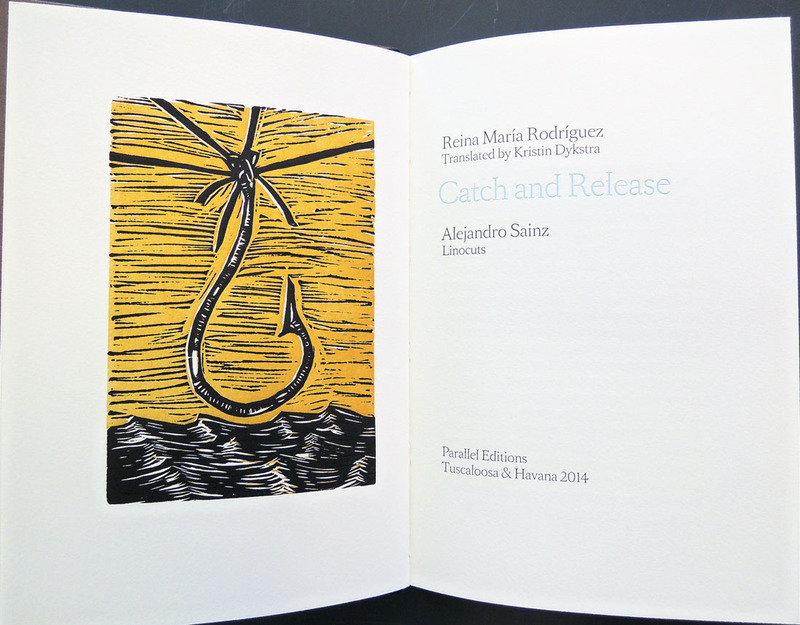 Faculty and students in the MFA in the Book Arts Program, School of Library & Information Studies, College of Communication & Information Sciences designed, letterpress printed, and bound the book.”–Last page. Alternating sections in black and gold type. Limited edition of 60 copies. 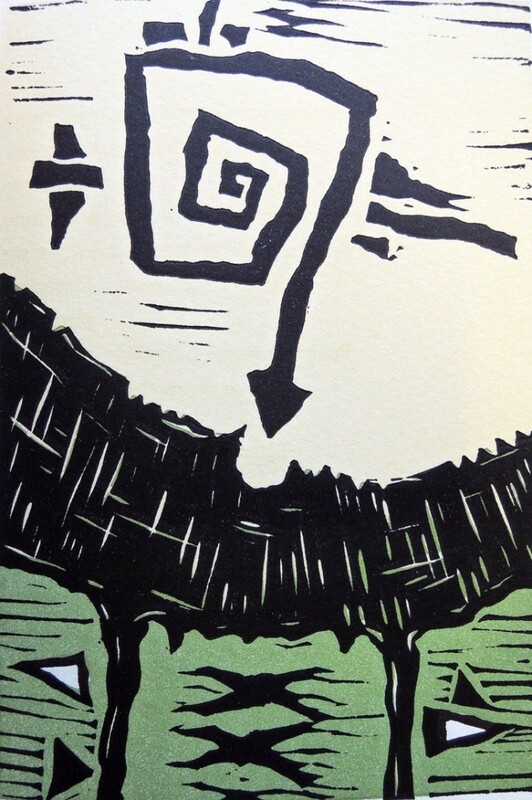 This entry was posted in Acquisitions, fine press editions on September 11, 2014 by Julie Mellby.